The exhibition presents the results of a conservation project undertaken on a 15th century Renaissance panel painting, the history of which remains elusive, and its author unknown, except for his name – Maestro Alberto – included in the scenography of the episode depicted. The exhibition highlights the challenges involved in conservation work, the use of science and technology, and how this conservation project helped us devise the best possible conditions as to how to present the object on display and make it accessible to all. This piece will form part of the permanent exhibition at MUZA, the upcoming national community art museum at Auberge d’Italie and flagship project of Valletta 2018 European Capital of Culture. Opening hours: 09.00 – 18.00hrs (last admission 17.30hrs). Experience the Winter Solstice from Mnajdra Temples. After the Solstice there will be a tour of the Visitor Centre and refreshments. Tickets can be purchased from all HM sites/museums and ONLINE for the price of €25 per person and €15 for HM Members. On the occasion of the 8th of December public holiday, the Feast of the Immaculate Conception, all HM sites and museums (*excluding the Hypogeum, State Rooms, Ta’ Bistra Catacombs, Skorba and Ta’ Hagrat) will have free entrance. 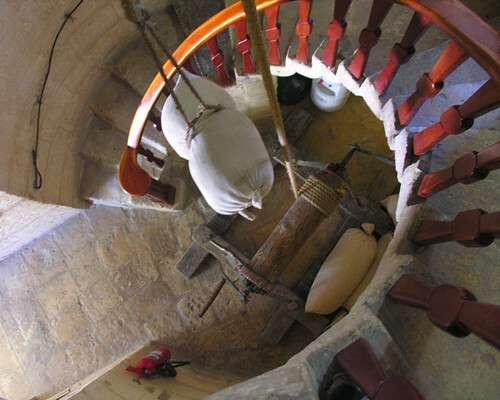 During the open day, one can also take the opportunity to visit Ta’ Kola Windmill, a unique Knight’s period windmill with its newly reconstructed milling machinery. Two guided tours will be offered at 10.30am and 3.00pm. The meeting point will be in front of Ta’ Kola Windmill’s main entrance. Click here for opening hours of each museum / site. During the open day benefit from various special offers on HM publications, including ‘Damma’. In May 2016, Heritage Malta acquired a painting by Mattia Preti representing Apelles. This is a fragment of a bigger painting which was split in three in recent times. This researched exhibition presents the painting, now restored and conserved, to the general public. In doing so, it also seeks to make a significant contribution to Preti studies, in addition to Heritage Malta’s 2013 Mattia Preti exhibition. Opening times: 09.00 – 18.00hrs (last admission at 17.30hrs). Tickets available at the door, and ONLINE. For further details visit the VisitMalta website. National Museum of Natural History, Mdina HM Members are invited to join us on another exclusive event! Complimentary tickets available from all HM museums and sites on a first-come first-served basis. Time: at 09.00hrs (until noon) For further details please call on 2295 4242. Heritage Malta is very active in the field of publishing as part of its education and outreach endeavours. The range of works produced includes exhibition catalogues, collected papers, conference proceedings, workbooks, project books, reading books and monographs. In August 2015, Heritage Malta also launched a bi-annual journal. Although Fort St Angelo is closely associated with the Order of St John, in reality the site boasts a more extensive heritage. A series of lectures will be held to explore the Fort’s medieval past, then known as the Castrum Maris. A general overview of the stronghold’s medieval history and configuration (by the site Curator Mr Matthew Balzan), will be followed by “The capellania of the Castrum Maris”, targeting the significance of the troglodyte chapel of the Nativity of the Virgin (by Prof. Stanley Fiorini). The last lecture will explore medieval swords and sword fighting (by the Malta Historical Fencing Association). A visit to medieval archaeological remains on site and a small reception will wrap the event. Heritage Malta will be opening the doors of its Conservation Laboratories in Bighi, Kalkara, to the general public on Wednesday 2nd November. During this occasion, Heritage Malta will also be launching an updated version of its membership scheme. Heritage Malta’s Conservation Division at Bighi provides conservation-restoration, preventive conservation, and scientific diagnostic services to all museums and sites managed by the national agency. Conservation of artefacts of all materials is undertaken. These include paintings, metals, ceramics, stone, textiles, paper, books and wood. Guided tours of the Conservation Division, and information regarding the Diagnostic Science Labs, will be held throughout the day. Doors open at 9.30am, last admission at 2.00pm. Event – Tiżjin, Ornamenti u l-Moda f’Malta … 5000 sena ilu! Were you aware that 5000 years ago, during the Neolithic Period, the inhabitants of the islands of Malta and Gozo manufactured jewellery and other ornaments of great beauty? Back then, they didn’t have access to gold, silver or other precious materials however, this didn’t deter them from producing ornaments. These were usually made from other materials commonly found in nature, including shells, bones and stones. Apart from making their wearer look better, such jewellery might have had other mysterious roles! Discover these ornaments and let them inspire your own creation! Time and place: Ġgantija Temples (Xagħra, Gozo) at 09.30hrs (until noon). Price: €5.00 (for tickets kindly call on 2155 3194). This event caters specifically for children between 6 and 10 years. This event will include a traditional supper at the Inquisitor’s Palace and the possibility of a sleep-over in its seventeenth-century prison cells. Theatrical representations of the newwieħa (hired-mourners) will be setting the scene for the traditional meal based on the ħanżira tal-erwieħ. Hired mourners will set the mood during the event. A literary work written by Immanuel Mifsud will help participants reflect and set the scene before calling it a night in one of the 17th century palace’s prison cells. Those wishing to sleep over need to provide their own sleeping bags and torches. A visual arts exhibition hosted by the Malta Maritime Museum. Works by Teresa Sciberras, Maxine Attard, Aaron Bezzina and Matthew Attard. The exhibition also includes a Virtual Reality game developed specifically for this project by Sandro Spina in collaboration with the exhibition’s coordinator, Glen Calleja. Further details can be found on the exhibition’s Facebook event page. Event – In-nutara Medjevali x’kultura kellhom? Taħdita bil-Malti mill-Professur Stanley Fiorini, mis-sensielata’ taħditiet imtellgħa mill-Kunsill tar-Riżorsi tal-Arkivju Nutarili sabiex ifakkru għeluq il-ħamsin sena mis-sejba tal-Kantilena. Qabel il-miġja tal-Kavallieri f’Malta, in-nutara kif kienu jinkwadraw fis-soċjetà Maltija? Bħala grupp x’kien jorbothom flimkien? Xi sfidi kellhom iħabbtu wiċċhom magħhom? Kif kienu jitħarrġu biex isiru nutara? Kif kienu jaqilgħu ħobżhom u x’obbligi kellhom lejn is-soċjetà li kienu jgħixu fiha? Dawn huma xi wħud mill-mistoqsijiet li t-taħdita tipprova twieġeb. Between 1664 and 1759, the kitchen within the Inquisitors’ Palace was equipped with all the necessary equipment that facilitated the storage of ice and frozen ice-cream. By 1798, the Inquisitor owned several ice-cream containers. During this event, Dr Noel Buttigieg will present the subject whilst sharing a number of Maltese recipes from the 1740’s. Chef Josef Baldacchino will be conducting a historic cook-along session utilizing two ice-cream recipes. TICKETS at €12, and €10 for HM Members, are available from all HM museums and sites, & online. Tickets for this event are limited. For further details please call us on 2166 3731. Complementing the tour will be a visit to the exhibition ‘Valletta 1566 – Melita Renascens’. Participants will also have the opportunity to view the Middle Sea Race from the fort’s majestic bastions. Coffee break included. Tickets for this event are limited. For further information please call us on 23954242, 23954200. During Birgufest, the Inquisitor’s Palace, the Malta Maritime Museum, and Fort St Angelo will open at the combined admission fee of just €2. Children under 12 years enter for free. Fort St Angelo will be open on Saturday between 18.00hrs and midnight (last admission at 23.30hrs). Purchased tickets provide a one-time admission and are only valid during the Birgufest weekend. Departure from Birgu Waterfront (opposite Fort St Angelo) at 18.00hrs. The harbour cruise will be followed by a tour of Fort St Angelo. A Heritage Malta curator will be guiding the group on site, focusing on the Grand Harbour’s fortifications during the Order of St John and British periods. Light refreshments will follow. Tour will end at approximately 21.00hrs. Tickets: Adults €18; Seniors/Students/Children/HM Members €15. Tickets, to be bought prior to the event, are limited. During Science in the City, the National Museum of Archaeology will be open for free between 19.00 and 23.00hrs. At 19.00hrs and at 20.00hrs – Bringing paintings back to life. Heritage Malta’s paintings conservators will demonstrate how the reconstruction of missing images from paintings is done. This is a session for children. At 21.00hrs and at 22.00hrs – A session by Heritage Malta Conservators providing a glimpse into the restoration process of archaeological artefacts. An artefact will be available for closer inspection. Heritage Malta’s Valletta and Birgu museums will be open till late for Notte Bianca. Evening opening times: 19:30hrs – Midnight (last admission at 23.00hrs). Admission FREE of charge. * This event will also serve as a last opportunity to visit the fine arts museum prior to its permanent move to Auberge d’Italie. On Sunday 2nd October, Fort St Angelo will open between 10.00 and 14.00hrs (last admission at 13.30hrs). Admission FREE of charge. A moonless sky, the ideal time to observe two groups of nocturnal creatures, bats and moths. The event will commence with a lecture on the subject and a demonstration on the use of a bat detector, used to locate and identify bats. Participants will also learn about nocturnal insects and the use of moth traps. Moth traps consists of an ultraviolet lamp placed in front of a white background. Moths are attracted to the ultraviolet rays and end up in the trap where they can be studied before being released. The event will end with a visit of the cave and light refreshments. Tickets: €12 for Adults; €10 for HM Members, Seniors, Students and children under 12 years of age. Available from all Heritage Malta sites & museums, and ONLINE. For information on HM’s museums and sites, and their respective opening hours, please visit our website. TICKETS, priced at €25 per person and €15 for HM Members, are available from all HM sites & museums, and ONLINE. 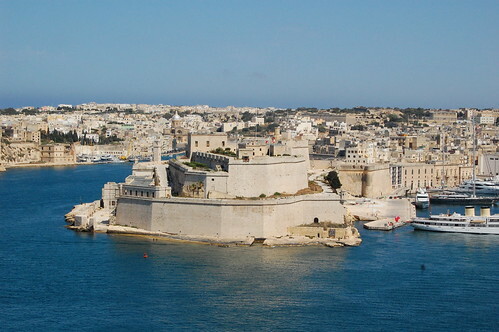 Commencing our walk along the Senglea marina, we will then head towards the Gardiola, past the Palaces of the Captains of the Galleys and St Philip’s Church. The trail will then venture off into a number of secondary roads. Here, a Heritage Malta guide will narrate historical facts about the people who inhabited these streets during the Knights and British Periods. The trail will end just outside the Senglea Basilica, a monument dedicated to the Great Siege of 1565. For further information please call us on 2295 4242 (office hours). On the occasion of Victory Day, Heritage Malta will open Fort St Angelo from 09:00 till 18:30hrs (last admission at 18:00hrs). A Victory Day memorial ceremony will be held at 10:30hrs. Mass will be celebrated at 09:30hrs (Chapel of the Nativity of the Virgin) and at noon (Chapel of St Anne). Throughout the day, two re-enactment groups (Compagnia San Michele and Show of Arms) and a historical fencing group (Malta Historical Fencing Association) will entertain visitors on site. This event will also serve as an opportunity to view the National Regatta from the fort’s bastions. Admission price of just €2 per person. *First-come first-served basis. Capacity of each tour is 80. Departure from Birgu Waterfront (opposite Fort St Angelo) at 19.00hrs. Tour will end at approximately 21.45hrs. Booking from all HM sites & museums, and ONLINE. HM members are invited to join us for another exclusive tour … this time we will be visiting the recently inaugurated site of Ta’ Bistra Catacombs in Mosta. Located approximately half way between the ancient town of Melite and the important harbour of Salina, the complex of catacombs known as Ta’ Bistra isconsidered amongst the most important set of Paleochristian burial complexes outside the area of Rabat. The site was archaeologically investigated for the first time by Capt. C. Zammit in 1933 as part of the documentation process of four sets of burials that were meant to be destroyed by a new road leading to Burmarrad. As part of the Victoria International Arts Festival, Heritage Malta organised a repeat of the exhibition ‘Siege Maps: Keeping Memory Safe’. Exhibition hosted by Il-Hagar Museum in Victoria, Gozo. On display four maps of the Great Siege of 1565 by Giovanni Francesco Camocio, a thriving publisher and dealer of maps, prints and books. Distributed far and wide, these news maps were once the most effective means of reporting the latest developments of the Siege. Today, now part of our cultural heritage, they hold the collective memory of a lost cultural landscape, a historic past and a turning point of an event that shaped the history of the Maltese Islands. Admission to view the exhibition is free of charge. Tickets: Adults €20 / Children €15. HM members: €15. Tickets are limited and can be bought from any Heritage Malta museum/site, and ONLINE, prior to the event. Participants are to meet with a Heritage Malta representative at the Ħaġar Qim car parking area at 19:00hrs. Heritage Malta, in collaboration with the Ministry for Gozo, will be opening its Cittadella museums and sites for free during the event ‘Swar u Ħajja’, part of the Cittadella Inaugural Season of events. – the newly refurbished Gran Castello Historic House (formerly known as the Folklore Museum) HM museums and sites will be open between 19.30hrs and mid-night (last admission 23.30hrs). The Gran Castello Historic House will also be hosting artisans who will showcase their trade, such as cotton weaving, lace making, spinning, and others. Earlier this year, the prehistoric site of Kordin joined the other megalithic temples managed by Heritage Malta following a mutual agreement with Fondazzjoni Wirt Artna that relinquished this important site in favour of Heritage Malta. The site, also known as Kordin III, is found at Corradino Heights where there originally stood three temple complexes. Kordin III is the only one that has survived. Consisting of two temples, the larger one has a standard 3-apse plan, typical of Ġgantija phase design. The stone paving within the temple is unique to Kordin III as this has not been found in any other temple site in the Maltese Islands. Meeting place: next to the St. Anthony of Padua Church, Ghajn Dwieli, Rahal Gdid (Paola), at 18.45hrs. Hosted by the Inquisitor’s Palace, Stejjer Imfewħa is a multi-disciplinary exhibition which dwells into different forms of expression such as installation art, written and sound art, photography, performance and drawing to highlights human experiences and stories around the use of herbs, spices and flowers found in intercultural heritage. This exhibition presents the results of a collective assemble of research and information, presented in a creative way. Admission to the exhibition included in the Inquisitor’s Palace admission ticket. On the occasion of ‘Jum Tarxien’, the Tarxien Temples will be open to the public at the reduced ticket price of 2 Euros per person. Benefit from this offer and visit one of the largest and most complex prehistoric sites on the Maltese islands! Download the Tarxien Temples App … includes an audio guide, 3D models of the site and more! … available from Google Play and iTunes. 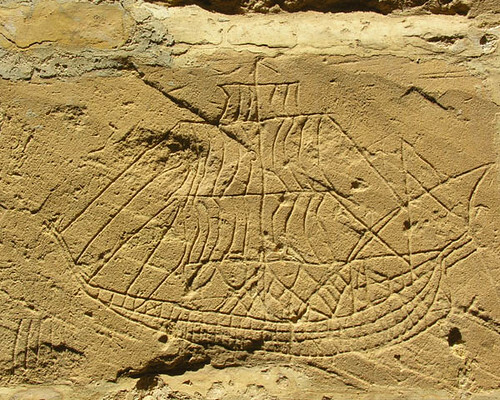 A collaboration between L-Akkademja tal-Malti, the University of Malta, and Heritage Malta. Speakers: Prof. Keith Sciberras, Dr William Zammit, Dr Noel Buttigieg, and Dr Olvin Vella. In collaboration with Heritage Malta, FALCO (BirdLife Malta youth section) will be organising an informative evening consisting of a lecture on Maltese bats followed by the opportunity to use bat detectors! Bookings on a first come, first serve basis. On the occasion of the ‘Qrendi Festa Agrarja tal-Patata’, Heritage Malta will be opening Ħaġar Qim & Mnajdra Archaeological Park against a donation of 2 Euros per person. This year the festival will be held at the Maqluba square. There will be a trackless train running frequently from Ħaġar Qim and Mnajdra Archaeological Park to the festival and back. Opening times: 09.00 till 18.00hrs (last admission at 17.30hrs). On the day, Heritage Malta Membership will be available at a 10% discount from Hagar Qim. On the occasion of World Environment Day, Heritage Malta will be opening the National Museum of Natural History, St Paul’s Catacombs and the Domvs Romana at the combined ticket price of just €6 for adults, seniors and students. Children 12 years & under will benefit from free admission. On the day, Heritage Malta Membership will be available at a 10% discount from any of these 3 sites. Visiting the quaint village of Zejtun, the cultural tour will focus on two particular areas of this village; the Hal-Bizbud and Hal-San Gwann areas. Time: 09.00hrs (until circa 12.30hrs). Tour will be held in English. Meeting place: Valletta, in front of the Phoenicia Hotel. Tickets: a participation fee of €10 per person. HM members 8 Euros. Part of the ticket sales will be donated to the NGO ‘Wirt Iz-Zejtun’, to aid their invaluable work within the local community. Tickets are available from all museums & sites, and ONLINE. For further information call us on 23954242 / 23954200 / 79734490. Time: 09.00hrs at Mgarr Harbour, until 17.00hrs. Participants are to make their own way to Mgarr, Gozo. Tickets: €15 for adults, seniors, students; €13 for HM members and children under 12 years of age. Tickets available from all HM museums & sites, and ONLINE. Ticket includes transport in Gozo and all admission tickets. On display four maps of the Great Siege of 1565 by Giovanni Francesco Camocio, a thriving publisher and dealer of maps, prints and books. Distributed far and wide, these news maps were once the most effective means of reporting the latest developments of the Siege. Today, now part of our cultural heritage, they hold the collective memory of a lost cultural landscape, a historic past and a turning point of an event that shaped the history of the Maltese Islands. 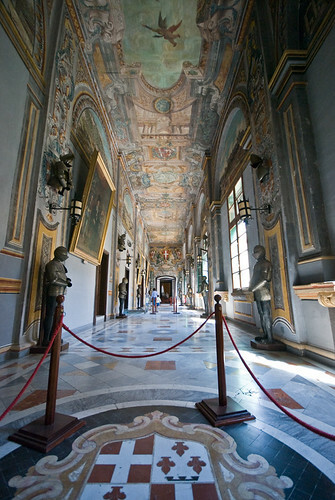 This month HM members are being given the opportunity to visit the Verdala Palace, which is generally close to the public except for the annual Ball of the August Moon held in aid of the Malta Community Chest Fund. The Palace was built by Grandmaster de Verdalle in 1586 on a site surrounding the woodland of Buskett, which was used by the Knights for game hunting. Nowadays, it serves as the official summer residence of the President of Malta. Participation is free of charge however, a donation towards the MCCF would be greatly appreciated. Pre-booking is necessary. Booking on a first-come first-served basis. Tickets at €12 for Adults; €10 for HM Members, Seniors, Students and children under 12 years of age. Tickets available from all Heritage Malta sites & museums, and ONLINE. An event dedicated to explaining and showing the ‘intaglio’ printing technique will be organised by Heritage Malta in collaboration with the Malta Map Society. This special event is also tied to the exhibition entitled, “Siege Maps: Keeping Memory Safe”, where four maps printed by means of the ‘intaglio’ technique are on display and which can be viewed after the brief talk and demonstration by Joseph Schirò and Jesmond Vassallo. To celebrate International Museum’s Day, ICOM Malta in collaboration with Heritage Malta, will be holding a seminar at Fort St Elmo. Seating is limited. Bookings on a first-come first-served basis. As part of the Open Day for EU-Funded Projects initiative being held on Sunday 8th May, Heritage Malta will be opening Fort St Angelo to the public for free. Guided tours will commence at the following times: 09:30, 11:30, 13:30 and 15:30hrs. Mass will be celebrated on site at 10:30hrs. This event is being co-financed through the European Structural and Investment Funds 2014-2020 and in collaboration with the Parliamentary Secretary for EU Presidency 2017 & EU Funds. 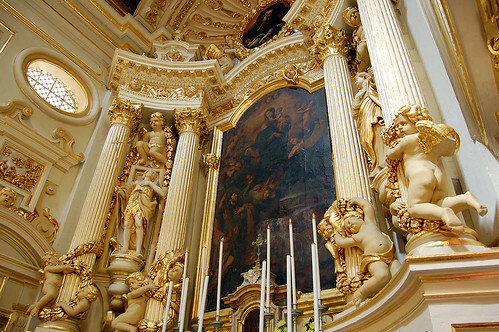 The tour will include the Wignacourt Aqueduct, Casa Leoni, and the Church of Misraħ Santa Venera; hosting beautiful paintings and statues, including works by Mattia Preti and Giuseppi Cali. Meeting place: next to St Joseph’s Home (found a few meters away from the Fleur-de-lys roundabout). For bookings, and further information, call us on 22954242. Booking on a first come first serve basis. Opening times: Saturday between 09.00hrs and 20.15hrs (last admission at 19.30hrs). Sunday between 09.00hrs and 17.00hrs (last admission at 16.30hrs). Admission to both sites at the combined rate of €2. During the event, Compagnia San Michele will be stationed at the Vilhena Palace courtyard. A number of lectures will also be held inside the museum. For further details please call us on 21454125. During this event, Heritage Malta will be opening the prehistoric site of Skorba from 09.30 till 12.00. Two guided tours will be held on the day; one at 10.00am (in Maltese) and another at 11.00am (in English). Tickets can be purchased on the day from Skorba Temple. Heritage Malta is offering its members the opportunity to visit the Conservation Division in Bighi, Kalkara. During this tour, participants will also have the opportunity to gain first hand advice from the agency’s conservators. A guided walking tour of Comino, including the Annunciation Chapel, St Mary’s Battery and Santa Maria Tower. An official guide will lead the group around the island. Tickets: Adults/Seniors/Students 20 Euros, Children under 12 years & HM Members 15 Euros (includes ferry crossing and entrance fee to tower). Places are limited. Participants are to bring their own lunch as there are no facilities on the Island. Comfortable sturdy shoes are recommended. For further details call us on 23954 242. In collaboration with the Malta Artisan Market, Fort St Elmo will be hosting an artisan market on Saturday 9th and Sunday 10th of April, between 11.00 and 18.00hrs. During this event, Heritage Malta will be offering a 50% discount on the National War Museum ticket price. Opening hours (of the museum): on Saturday between 09.00 and 18.00hrs (last admission at 17.30hrs) and on Sunday between 12.00 and 18.00hrs (last admission at 17.30hrs). On the occasion of Festa Frawli, Heritage Malta will be opening Ta’ Ħaġrat, between 10.00hrs and 15.00hrs, at the reduced price of 3 Euro. Guided tours at 10.30hrs (Maltese), 11.30hrs (English), 12.30hrs (Maltese), 13.30hrs (English) and 14.30hrs (Maltese). Participants will have the opportunity to watch the Regatta from the Grunenbergh’s Bastion. A guided tour of the fort by its Curator, and a coffee break, will follow. Tickets: Adults, Seniors & Students €10 / Children (under 12yrs) €5 / HM members €5. For further information call us on 23954000 / 23954242. *With the exception of the Palace State Rooms which will be open between 10.00 and 16.30hrs (last admission at 1600hrs). Join us for a fun activity of clay modeling! Including a short tour of the Gozo Museum of Archaeology, highlighting the importance of clay during the New Stone Age, followed by a hands-on creative session of pottery making at the Gozo Nature Museum. Recommended age: 6 to 10 years. Ticket price: €5.00. Pre-booking is essential as only limited places are available. For more information please contact us on 21556153. On the occasion of Maundy Thursday, the Inquisitor’s Palace will be open until 24.00hrs (last entry at 23.30hrs). Admission after 17.00hrs reduced to €2. For further information please contact HM on 21663731. Exclusively for Heritage Malta members! This time we will be visiting the archaeological site of Tas-Silġ in Marsaxlokk, a multi-period sanctuary site covering all eras from Neolithic to the fourth century AD. The site takes its name from the nearby Church of Our Lady of the Snows (Knisja tal-Madonna tas-Silġ). Members will be guided by the site’s Principal Curator. Meeting place: besides Tas-Silġ Chapel at 09.30am. Places are limited. For reservations call on 23954242 or 23954200 (office hours). A valid HM membership card number is required. Another exclusive tour for HM members! Participants are to meet an HM representative outside Ta’ Hagrat at 09.30hrs. After visiting Ta’ Hagrat, participants will make their own way to Skorba, a few minutes away. Participants must provide their own mode of transportation. Skorba and Ta’ Hagrat are inscribed on the UNESCO World Heritage List along with four other temple sites on the Maltese Islands. Due to the small size and fragility of these sites, the number of places available is limited. For bookings call on 23954242. As part of the Rabat Agape Cultural Festival, and in collaboration with Legio X Fretensis, Heritage Malta will be organising various activities at St Paul’s Catacombs including re-enactments, lectures, and a static display by the Legio X Fretensis (throughout the day). Guided tours of the site will start at 10.30hrs and 15.30hrs. Admission ticket reduced to just €2 per person (includes also admission to St Augustine’s Catacombs). A carnival activity for children aged 6-11 years. Tickets available from Ta’ Kola Windmill and Ggantija Temples at €5.00 (places are limited). For more information call HM on 21553194. The programme includes a short talk by Olvin Vella about the linguistic value of the ancient qrieċel, a performance, and light refreshments. The brand new Qarċilla is written by Imanuel Mifsud. In collaboration with l-Akkademja tal-Malti, il-Kunsill tal-Ilsien Malti and the Carnival Commitee. On the occasion of Public Service Week 2016, Heritage Malta will be opening its museums and sites for FREE, including the recently reopened Tarxien Temples. For more information about each individual site, and respective opening hours, visit HM’s website. Sites will be open according to their regular opening hours. *Excluding the Hal Saflieni Hypogeum, Fort St Angelo, Ta’ Hagrat, Skorba and other sites not usually open on a regular basis. A talk by George Cini, author of the book ‘Strada Stretta; aktar dawl fuq it-triq li darba xegħlet il-Belt’. Was this busy alley, chock-a-block with bars and music halls, a pit full of sinners? Or did saints and sinners thrive side by side? And if so, who judged who the sinners were? George Cini will attempt to provide answers to the tantalising questions about this famous entertainment strip of yesteryear whose fame reached many a distant shore. For further information, and to book a place, please call HM on 21827006. Mdina: the silent city but nonetheless a city of mysteries and dark tales entwined within its magnificent history. Participants will be taken on an animated tour of these dark tales which are guaranteed to send chills down one’s spine. The tour will be followed by light refreshments at the National Museum of Natural History housed within the Vilhena Palace. Tickets: €20 for adults, and €18 for HM members, seniors and students. Available from all HM museums/sites, and ONLINE. Limited places available. Adults only. Tarxien Temples recently benefited from a project that incorporated the construction a protective tent (now sheltering the temples from the elements), an elevated walkway, as well as the development of a mobile application that now complements one’s visit to the temples. 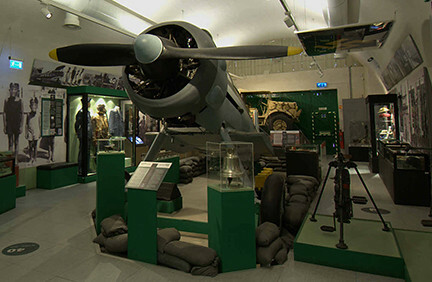 The adjacent visitors centre was also refurbished. The project was part-financed by the European Regional Development Fund. During this visit, members will be guided by a Heritage Malta curator. For further information, and to book a place, call HM on 23954242 / 79734490 (office hours).